Bewley's Café has long had a special place in the affection of Irish people and, following a closure of nearly three years and a multi-million euro refurbishment,	this much-loved institution re-opened to great acclaim in 2017. 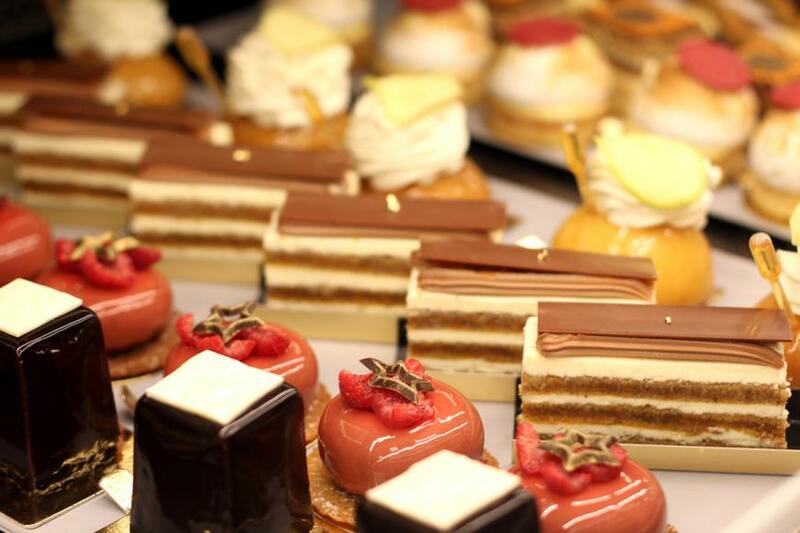 The wonderful Harry Clarke windows and open fireplaces are looking their best – and yes, they still make the famous sticky buns, the coffee Opera cake and, of course, the Bewley’s Mary Cake..
Seats 370. Open Mon-Sat, Sun 10am-8pm. Closed 25 Dec, bank hols. Amex, MasterCard, Visa. Directions: prominent building on Dublin’s premier shopping street. 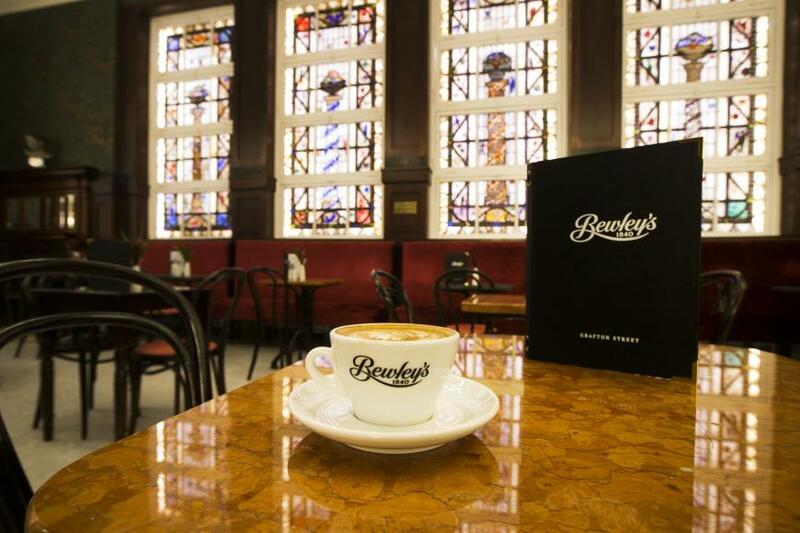 Established in 1840, Bewley's Café has a special place in the affection of Irish people. Bewleys on Grafton Street was always a great meeting place for everyone, whether native Dubliners or visitors to the capital 'up from the country'. Formerly Bewley's Oriental Café - as still proclaimed the historic front facade - this much-loved institution re-opened to great acclaim in 2017 following a closure of nearly three years and a multi-million euro refurbishment. It’s brighter and more open than it used to be, but the wonderful Harry Clarke windows and open fireplaces are very much in place, also proper café tables and bentwood chairs.